The recent hijacking of a Comoros flagged bunkering tanker with 8 Sri Lankan crew onboard by pirates in Somali’s coast has ignited debate on the possibility of return attacks which nearly crippled the all-important shipping industry five years ago. There has been a lull in piracy cases in the troubled Somali waters since 2012 thanks to the concerted and coordinated efforts of navies allied to the North Atlantic Treaty Organizations, NATO who have been patrolling the region. Having managed to keep the waters safe, the navies pulled out of Somalia last December. Three months later, the pirates struck. And while the latest attack is a departure from the previous ones, seeing as no ransom was given and it only lasted a few days, it has however exposed fundamental issues that calls for both local, regional and global intervention. For starters Somalia coastline stretches over 3,300 kilometers, making it the longest in Africa which explains why it is strategic for majority of companies across the globe. Somali also sits in the Horn of Africa which is a prime zone for global trading partners. For example most of the trade between the European Union and its key trading partners like Japan, Asia, India and China takes pass through this route on a daily basis. In fact data shows that approximately 30 per cent of the world’s oil, which includes natural gas from the Persian Gulf destined for Western countries, pass through the Horn of Africa on a daily basis. But the coastline also offers some of the best fish. For a country however recovering from decades of war, the locals have found a lifeline in fishing. Now they accuse the government of the semi-autonomous Puntland region of allocating fishing licenses to international companies with little regard to the locals. In fact one fisherman described the scene at night as “looking like Los Angeles at night due to so many lights from ships and boats.” Another fisherman was quoted by the media as saying that the world should be prepared for more piracy attacks since there has been a surge of illegal, unregulated and unreported fishing activities in their waters. Indeed a UN report approximates that over $300 million worth of seafood is stolen from Somalia’s coastline every year. 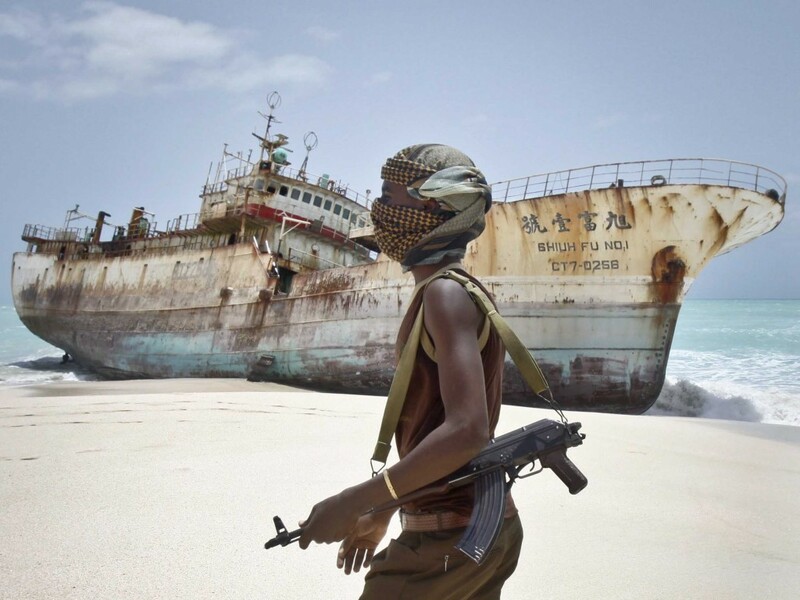 In the period between 2007 and 2012, when piracy reached unprecedented highs in East Africa especially in Somalia, it was reported that pirates cost the world $7 billion in ransom with an approximated 1,000 people taken hostage. To forestall such a repeat calls for a wholesome strategy that goes beyond security deployment. Most of those seeking livelihood in Somalia waters are locals, some even reformed pirates whose only source of income lies in the waters. The newly installed government of Somalia, while licensing international fishing companies should also ensure locals benefit from a resource that is in their own land. Regional bodies like Intergovernmental Authority on Development. IGAD, must also step up their resolve in helping Somalia find homegrown solutions to local problems like piracy while the international community must coalesce around the new Somali regime and offer practical solutions that seems to reward locals. Only then will locals join in fighting piracy and stemming its mutation.